Chelsea Tobin Paulson is currently working as a Deaf/Hard of Hearing Role Model Supervisor at Lifetrack in St. Paul. 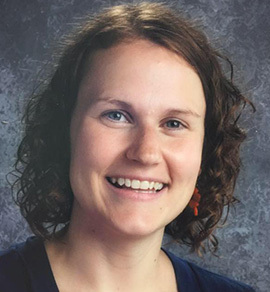 She has taught in a classroom for almost six years in Idaho and Minnesota. She also is a graduate of Augustana College in Sioux Falls, South Dakota with Bachelor of Arts degree in Deaf Education and Elementary Education. She just received her masters in Curriculum and Instruction with Math Certification from the University of St. Thomas. Chelsea married her high school sweetheart, Jared Paulson, a graduate of North Central University in ASL/English Interpreting. They have a daughter, Elly, and a son, Jesse born in February 2017. In midst of all this, she doesn’t have any spare time to speak of. As a former Deaf student in a mainstreamed setting, Chelsea navigated through the system with her mother as her advocate. 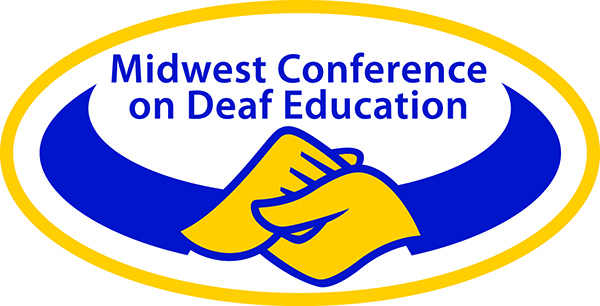 The experiences shared will be a testimony of how to be a change agents for your student who is Deaf or Hard of Hearing. Other adults, such as interpreters or teachers of deaf/hard of hearing, can also be change agents for deaf and hard of hearing students by connecting them to the broader Deaf community, enacting roles based on the needs of students, facilitating sign language instruction for peers, taking responsibility for literacy and being the language models for students. Support people are critical advocates for more accessible classrooms, being a part of the supervision of the process, and eventually being willing to advocate themselves out of a job, as the deaf or hard of hearing student develops skills and advocates for him/herself. The participants will learn different strategies of how to get their Deaf youth involved in society. The participants will learn about current IEP proceedings and how to use their roles as a parents/interpreter/outreach professional during the meeting. The participants will have different resources to add to their current challenges in interpreting in rural settings.